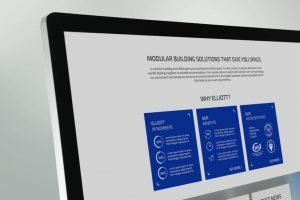 Elliott is the market leader in the hire and sale of modular buildings and portable cabins and we were delighted to be chosen to create a new web design for their UK business. The old website has over 1,500 pages of content and over time the navigation had become diluted. With their core business growing and constant innovation, our challenge was to create a new web design that made it easy for users to find relevant products for their sector or hop straight to products and services they were looking for. 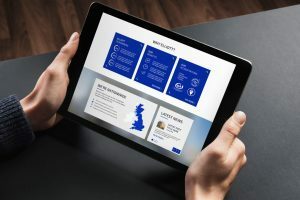 That was essential to the design brief and further more they needed a Content Management System to make the site easy to edit, optimise for Search Engines and integrate with the CRM platforms. 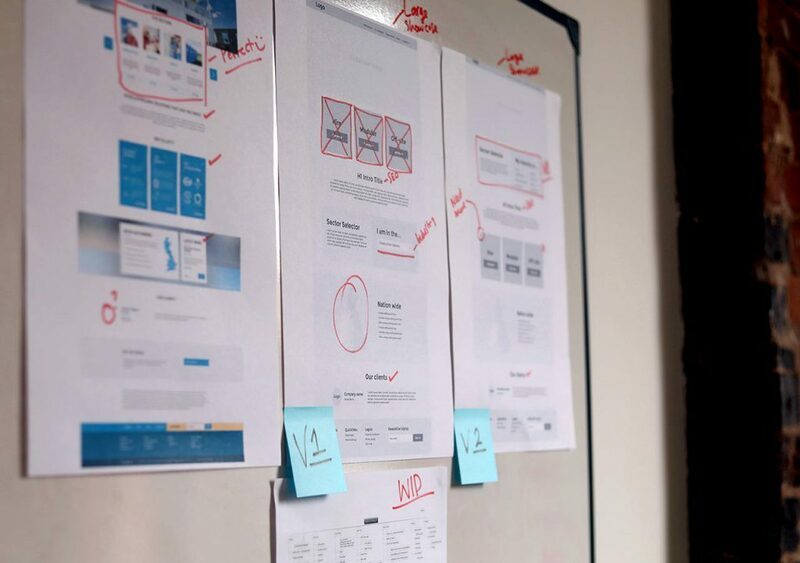 A part of the overall website project, we started off with a discovery meeting to uncover the unique client benefits and understand the brand values that must be portrayed consistently throughout the site. It was key for the new web design to reflect the industry, professionalism and position Elliott as a world-leader. After our discovery sessions with Elliott our web design process could commence. Creating user journeys, site maps and sketching wireframes are key foundations to ensure the web design is fit for purpose. Today but also as the business grows; understanding the vision and future growth plans so the web design can grow with the business. 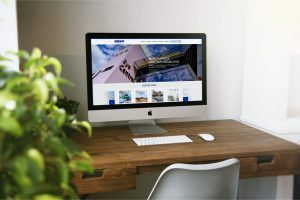 With the planning done and having presented the brief back to Elliott to ensure we understood their business, we were then able to craft custom web design options. 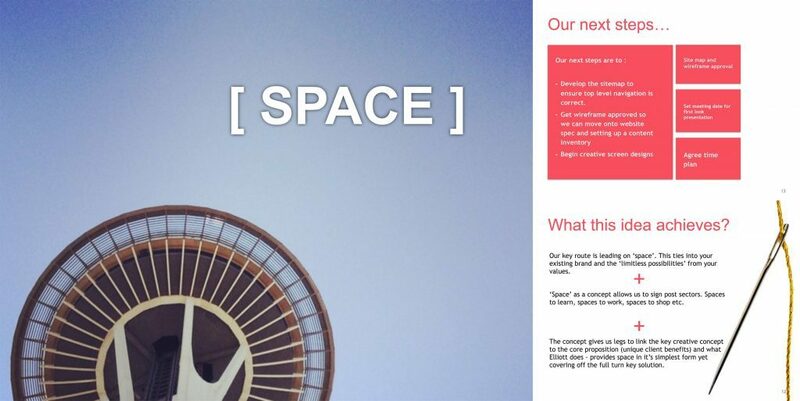 Starting with the home page to set the style, tone and look and feel. We always create ‘concepts’ in the first instance to find a golden thread or a hook for the design to be hinged on that will flow through to the call to action. A critical factor to the success of a web design project is photography and content. Often these are overlooked or hurried towards the end of a project. However, if these elements are carefully considered and curated before web design starts you can ensure a design that is fluent and where every element has a purpose. After web design approval, our in-house web developer began coding the site. We used WordPress for the Content Management System allowing for easy populating, on-going editing of the site and search engine optimisation. At each stage of web design and development we consider the site on mobile devices, how it will be read by search engines and how users will navigate the site. Iteration, iteration and iteration in close collaboration with our client’s marketing team. A website is never finished, once you press the big red button to go live the hard work can commence. We are now working with Elliott on an on-going basis to provide digital marketing services, hosting and support to make the most of their new investment.